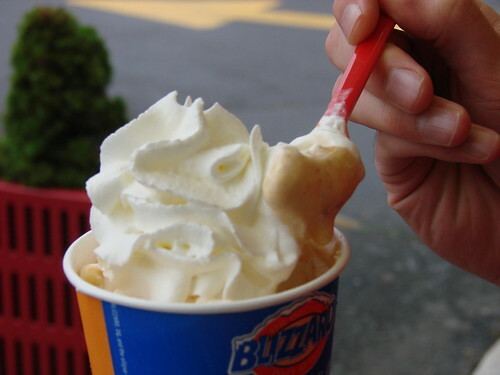 In honor of the 25th anniversary, DQ has expanded their Blizzard menu to 25 options. Hellooooo, Double Fudge Cookie Dough Blizz! I still remember my very first Blizzard. I suspect it was sometime around 1987--probably after getting a shot at the doctor's. My mom took me for a Blizzard treat and I could pick anything I wanted. What did I choose? Um, a Nerds Blizzard, of course. And at the time it was the most delicious thing in the world to me. My current favorite Blizzard...it's a tie between Mint Oreo and an off menu special from my hometown DQ known as the Mississippi Mud--coffee syrup, chocolate syrup and crushed Oreo cookies. Unfortunately the closest DQ is in Jersey City, but given that this is the year of the Blizzard you have 353 more days to seek out one of their 5700 locations. Happy Birthday, Blizzard! What's your favorite Blizzard memory? Happy birthday blizzard! I love anything minty and chippy so I'll have to find an open DQ down here (everything shuts down in the winter) and pick my poison! 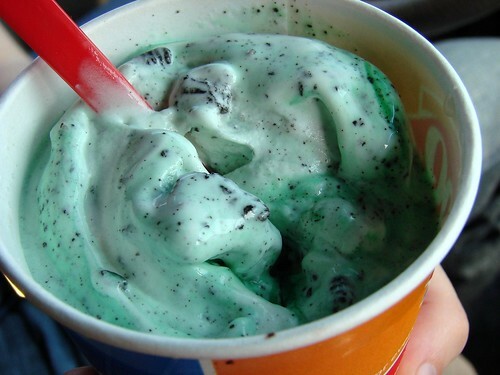 You should still visit the DQ in Jersey City. You can have it for dessert after you eat at one of the many dining establishments in Indian Square (only a few blocks apart). the french silk pie blizzard is amaaazing. dang it now i want to eat ice cream! @anon: thanks for the tip! DQ + Indian food = great idea. Is that area PATH accessible? @Sara Tea: Mmmm. The French Silk Pie looks awesome. I'm going to have to try it sometime! My favorite blizzard memory is...all of them? They had a really good pumpkin pie blizzard once!